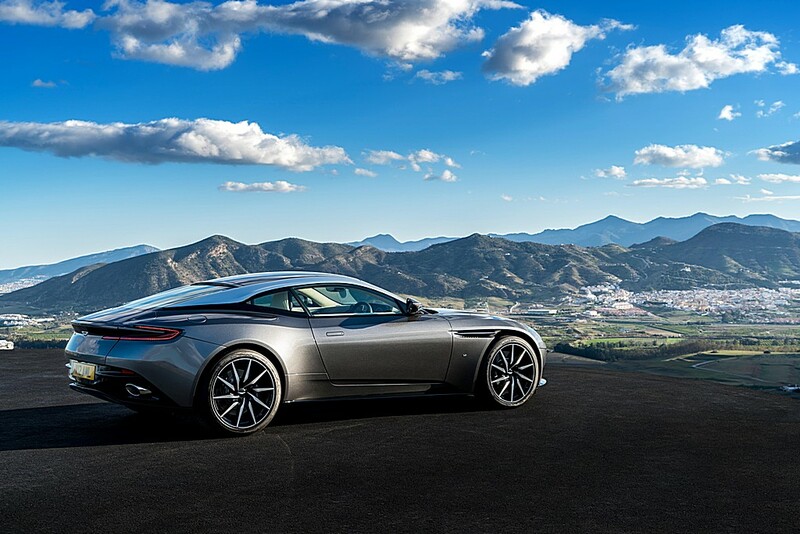 The Aston Martin DB11 is a British grand tourer coupe produced by Aston Martin since 2016. 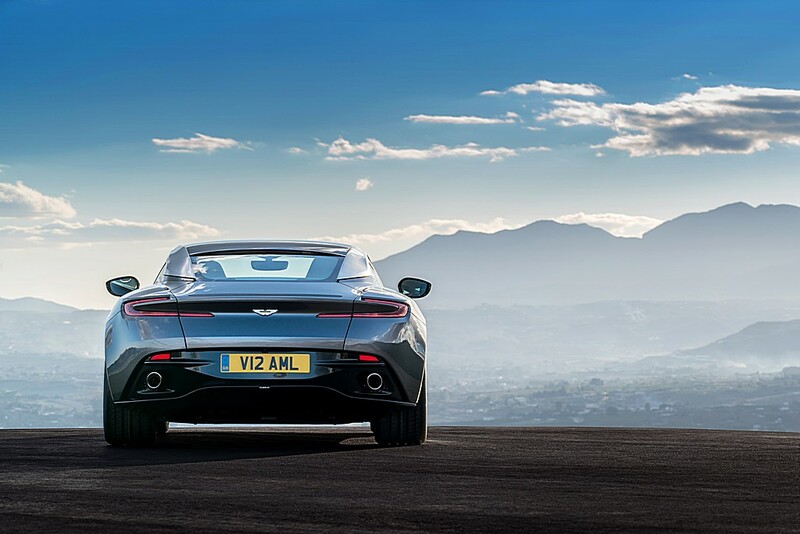 It debuted at the Geneva Motor Show in March 2016, as a replacement to the DB9. 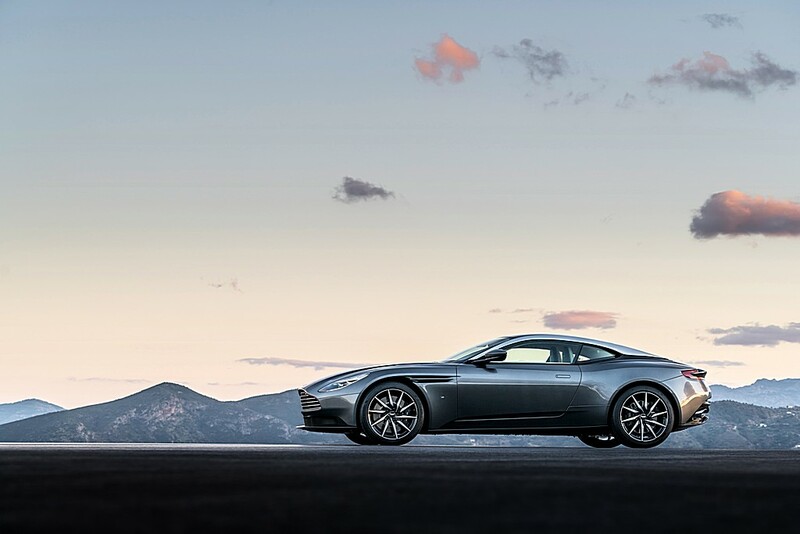 It is the first model launched in Aston Martin's 'second century' plan and the first all-new car launched since the company's tie-up with Daimler AG. 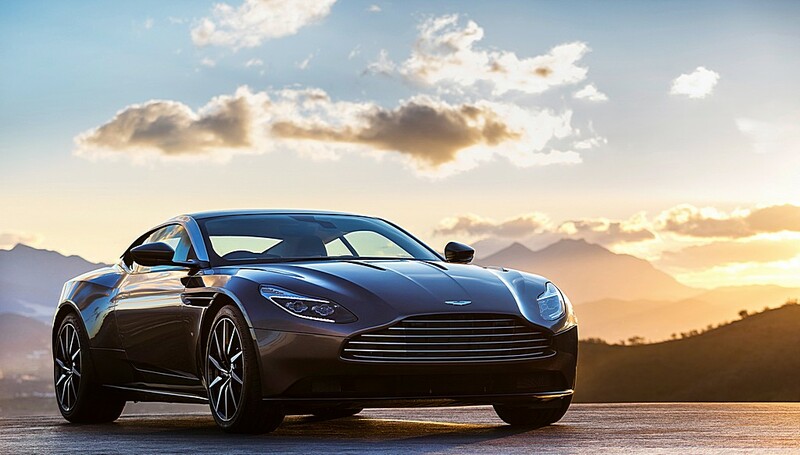 The DB11 is powered by an all-new 5204 cc twin-turbo V12 engine, making it the first turbocharged series-production Aston Martin. 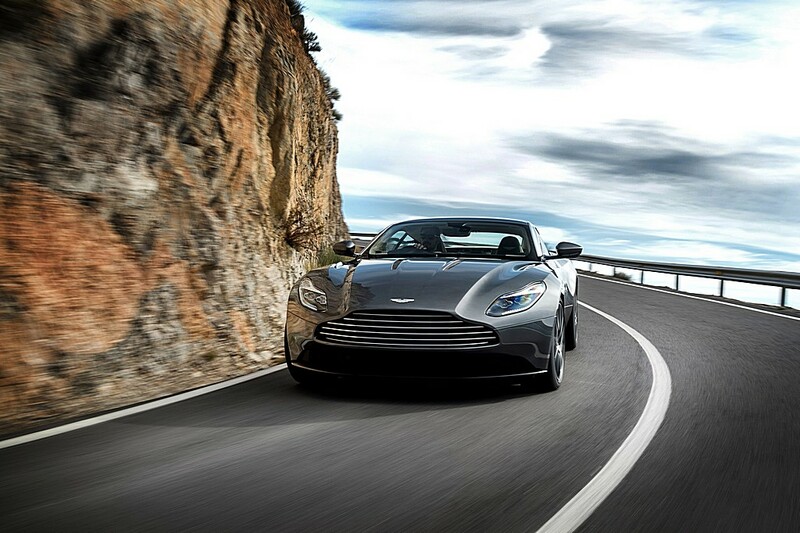 The engine produces 600 bhp (447 kW; 608 PS) and 516 lbÂ·ft (700 NÂ·m). 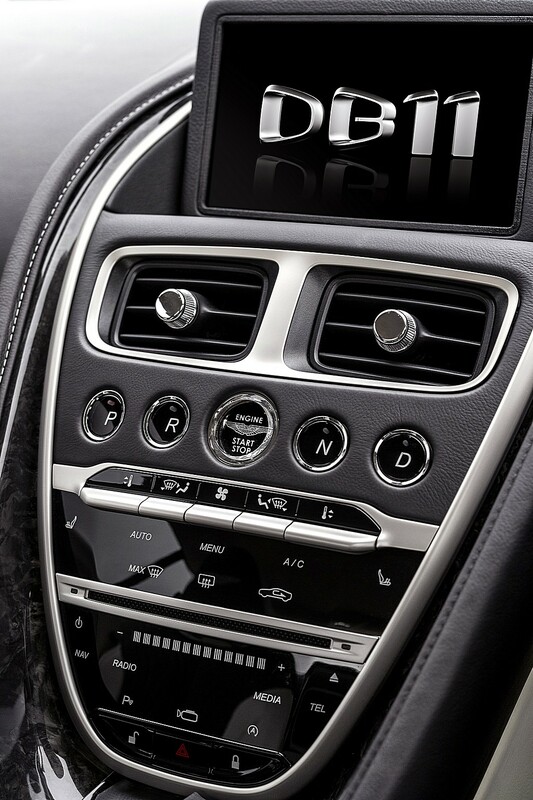 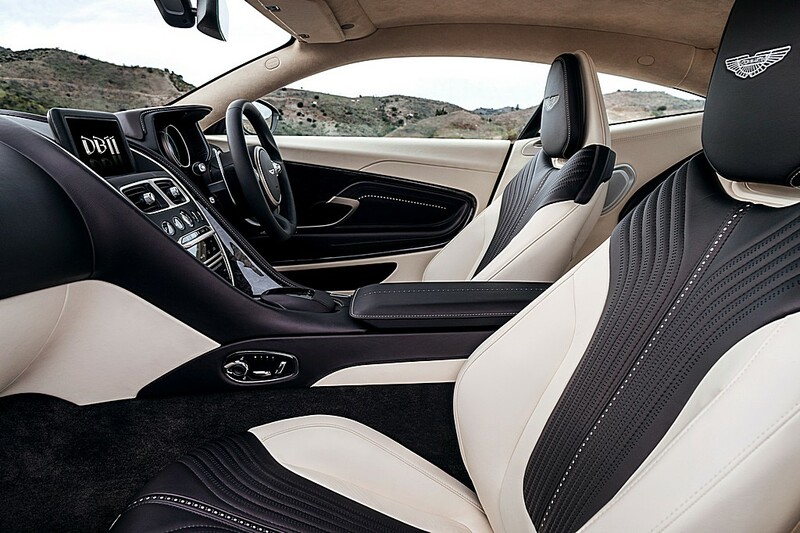 The car is equipped with a rear-mounted 8-speed ZF automatic gearbox. 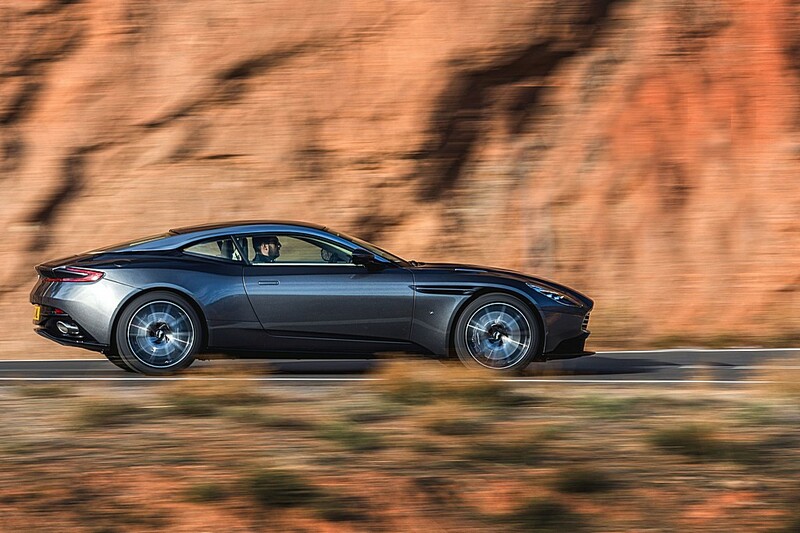 The DB11 accelerates from 0 to 100 km/h (62 mph) in 3.9 seconds and reaches 340 km/h (211 mph). 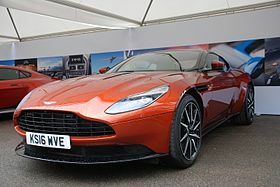 A smaller 4.0-litre twin-turbo V8 engine developed with Mercedes-AMG is also expected to be put into the DB11 in the future.